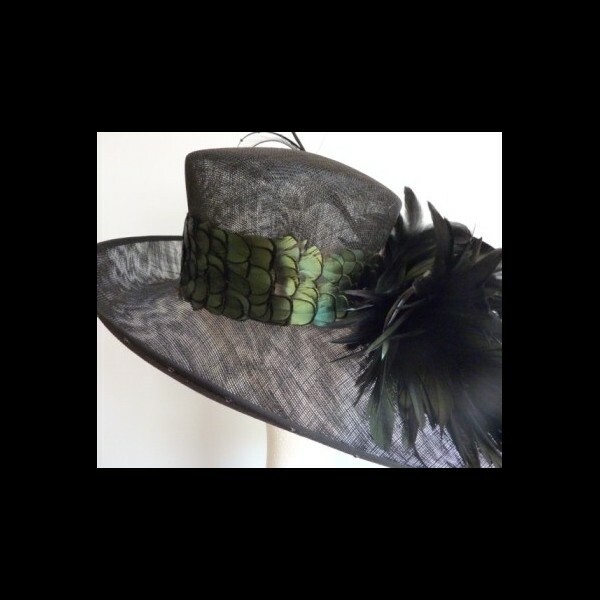 Black sinamay with a band of green Lady Amherst Pheasant feathers around the crown. 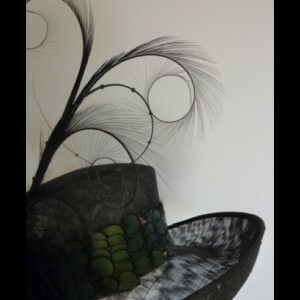 The underside of the brim is dotted with Jet Black Swarovski crystals. 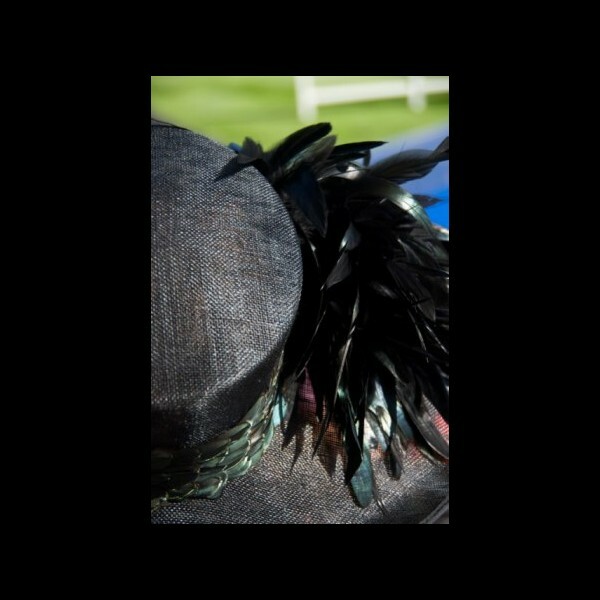 To one side, a sumptuous spray of black- tinged with green, iridescent coque feathers. 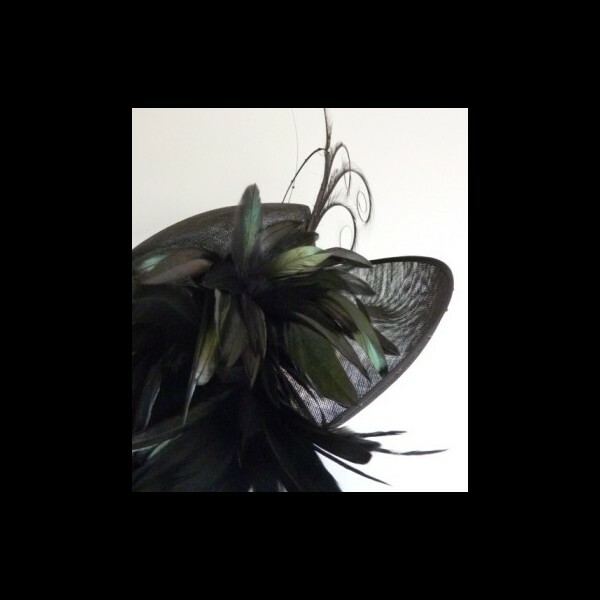 Climbing high above the crown a curled quill with Swarovski jet black crystal and a host of curled burnt pheasant feathers. 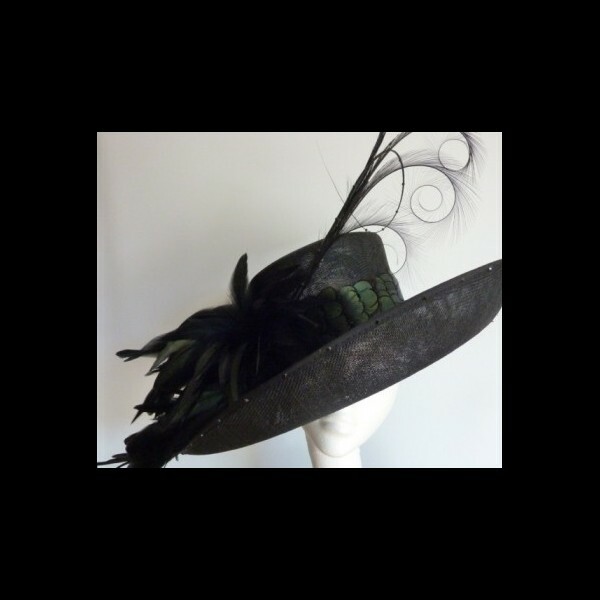 Black sinamay with a large east to west brim, measuring 50cm from side to side and 46cm front to back, upturned at the front and to one side. 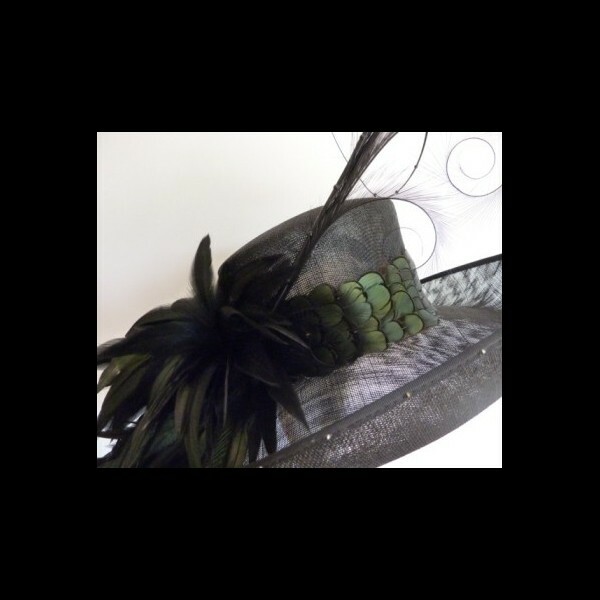 A band of green Lady Amherst Pheasant feathers around the crown. 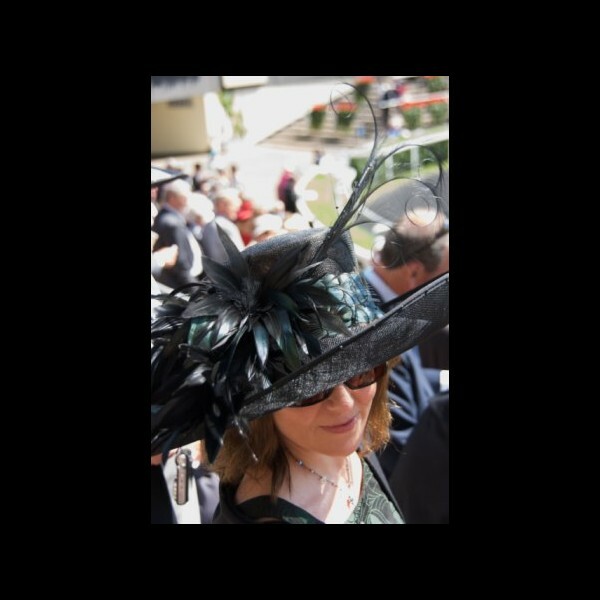 The underside of the brim is dotted with Jet Black Swarovski crystals. 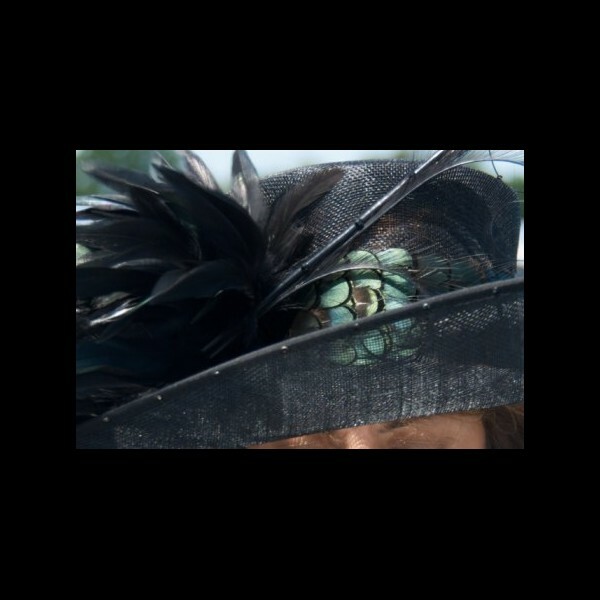 To one side, a sumptuous spray of black- tinged with green, iridescent coque feathers. 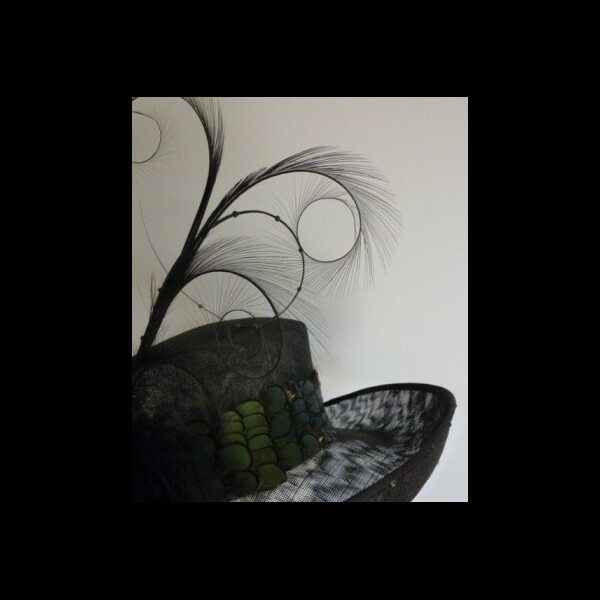 Climbing high above the crown a curled quill with Swarovski jet black crystal and a host of curled burnt pheasant feathers. Sinamay & feather colour samples available on request. 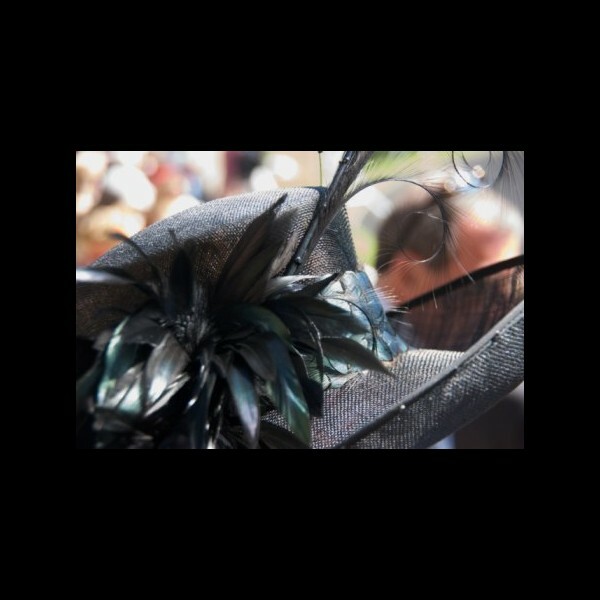 The price quoted is for the hire of the hat excluding P&P.